Hand foot mouth disease (HFMD) is an extremely contagious viral infection most commonly caused by a virus called coxsackievirus. The virus is passed through contact with another individual’s saliva, stool or respiratory secretions. Prevention begins with understanding the causes as well as the symptoms and treatment options. Hand foot mouth disease has an incubation period of three to seven days, during which your body hosts the disease without exhibiting any symptoms. A sore throat and a temperature of 101-103℉ are commonly the first symptoms to appear. It is possible to pass hand, foot, mouth disease to others without exhibiting any of the above symptoms. Such a possibility is more common among adults who contract HFMD. Who Does Foot and Mouth Disease Affect? Infants and children under five years of age are most affected by the disease, especially those attending school or daycare. These environments involve frequent and close contact with other children, which leads to a higher likelihood of virus transmission. Adults and teens are capable of contracting HFMD, though it is rare because most individuals build a tolerance to the viruses that cause HFMD by adolescence. However, adults with weakened immune systems are especially susceptible to catching the virus. People are most contagious during the first week of illness but can continue to carry and transmit the virus weeks after their symptoms have cleared. As a result, it is important for those suffering from HFMD to stay home while infected and to speak with a healthcare provider about when returning to school, work or daycare is a safe option. 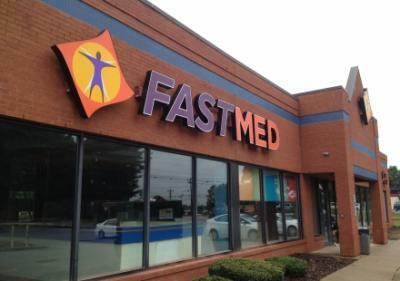 If you’re looking for a safe, confidential, quality and compassionate healthcare provider to help you or your family member deal with the symptoms of HFMD, try FastMed Urgent Care! At FastMed, we offer our patients the ability to avoid hospital waiting rooms for non-emergent needs and receive great care quickly. If you or your child is suffering from hand foot mouth disease, stop in and see a healthcare provider at your local FastMed today!